3/24/18 - AERIE Fund - Ripple Effect 24-Hour Streamathon - STARTS TONIGHT! 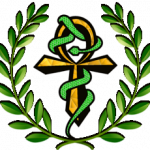 Discussion in 'Release 51 Events' started by Thexedor Markhamm, Mar 23, 2018. Join us for another 24 hours of gaming fun for a great cause! We'll be streaming for 24 hours straight in support of the Ripple Effect Campaign. 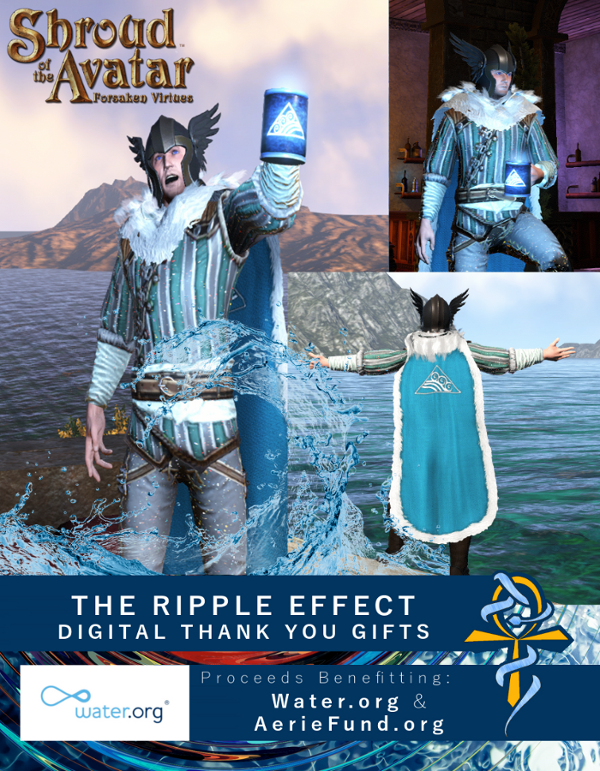 We'll be playing games, giving away a ton of prizes all day long, and spreading awareness about the Global Water Crisis and Water.org So get your exclusive in-game 2018 Ripple Effect Glowing Mug and Cloak and join us on twitch and in New Britannia for a day long celebration of all things water! (All donors during the event will qualify for the drawing). Get it here and be rewarded with 5 free 'All Player' Sweepstakes tickets! THANKS FOR PLAYING FOR A CAUSE! Sean Silverfoot, Elrond, Browncoat Jayson and 1 other person like this.